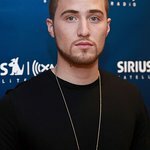 Singer, songwriter and producer Mike Posner has teamed up with Tom’s of Maine to invest in people and the planet in his hometown of Detroit and in communities around the country. Posner is participating in the annual “50 States for Good” community giving program as a judge, and as part of this year’s campaign, is also helping to shine a spotlight on a park in need along Detroit’s historic Eight Mile Road. Posner believes in the potential of the Motor City and together with Tom’s of Maine will help bring funding to grassroots efforts around the country, combining his passion for social advocacy and hometown pride. Amidst his success in the music industry, Posner hasn’t forgotten his roots and has always made giving back to the community a priority. His involvement in 50 States for Good is a reflection of not only his love for Detroit but also his appreciation for grassroots nonprofits across the country in need of funding. 50 States for Good celebrates the many small nonprofits and passionate community members who see local needs and jump into action. Now through September 30, 2014 anyone can say “thank you” by nominating a favorite nonprofit at www.50StatesforGood.com via a short essay. One nonprofit in every state and Washington DC will be recognized and rewarded with a collective pool of $510,000 in funding available. This year’s 51 winners – to be awarded $10,000 each – will be selected by an independent judging panel, including Posner. As part of this year’s 50 States for Good program, Posner is encouraging his fans, fellow Detroiters and community members nationwide to join a socially-powered project that brings goodness to kids and families in the Motor City. With a $25,000 donation to nonprofit Eight Mile Boulevard Association and with consumer participation online, Tom’s of Maine will renovate distressed Knudsen Park near historic Eight Mile Road. Tom’s of Maine is asking the public to root for change and show nationwide support for Detroit with a simple social action to help decide what new items go into the park, such as a picnic area, upcycled benches, a play car, a swing set, public art or basketball court updates.